Deanna-Cian's Blog | An English student who stalks Benedict Cumberbatch. If I'm not pressed against cake shop windows then I'm rambling on about the press. This post is long overdue and full of sincerest apologies, condolences, greetings and anything else that I have missed in my two year absence. Without meaning to, I have been drawn away from my blog and in all honesty, I miss the stories and inspiration I got from it. Wednesday was the mother of all celebration days for us English folk with the majority of the country waking up with dreadful hangovers the next morning; the sign of a good night! In America especially, the British have a (well-earned) reputation for liking a good old booze up and what better excuse is there for one than our national celebration holiday: St George’s Day! However, rather than a hangover thursday morning, some people woke feeling more than slightly disgruntled at the lack of patriotism some individuals seem to have. Wetherspoons. A national chain of pubs that has been serving pub-grub for years but on Wednesday it served something more questionable than its usual food to customers when they refused to fly St George’s flag. Instead, they flew Union Jacks in a bid to, in their words, avoid any offence that may otherwise be caused. Surely the offence it MAY cause by putting up St George’s flag is lesser than the INEVITABLE offence it caused not to. Who are these people who may get offended? Religious groups? Immigrants to this country? I am genuinely confused. If people chose to move to this country then it is ridiculous for them to get offended by our culture and perhaps its more offensive to presume they will find it opprobrious. Besides, no one has any issues when Ireland celebrate St Patricks day and instead, its seen as a good revenue to give the economy a boost for the day. No other country in the world would change aspects of their culture in this way, simply to please the minority that have moved to their country and it’s unreasonable to expect us to. Any country’s heritage is important to them and we should not compromise the way we live in fear of offending another. Racism is out of the question completely but celebrating our national day is not racist at all. Nor is it discriminating against those of other religions/cultures. Other peoples ways of life should be respected as it is our differences that make us beautiful. I have absolutely no objection to someone else’s beliefs. I see no problem if someone may want to walk down the street wearing a hijab or if an immigrant from Spain, for example, may cook themselves a Spanish dish rather than a traditional English one. So why, should we be prohibited to celebrate our own day in this country when we supposedly are an equal society. Personally, I know no one, whether of British Christian descent or not, who would get offended over such a trivial thing. I am certainly not religious but if someone wants to have a drink to St George because their faith endows him to, then they are well within their right to do so. If anyone wants to comment, please feel free to have a debate. I just ask for no serious arguing or mud slinging. It’s merely meant to be a point of discussion to clear up my confusion. Is Wetherspoons in the wrong or are their actions completely justified? In no way is this attacking anyone, as I believe freedom is a two way street, but if anyone would be offended with the flying of St George’s flag, please join in, I’m genuinely interested in what peoples views are. Silence of the Poor Little Lamb. I’m thoughtful enough to show sympathy when people are ill. I say “Bless you” when they sneeze even though they probably just sneezed all over me. I give them sanitizer so that they don’t have to walk around with germy hands and what do these ungrateful people do? They give me their sore throats, their ear ache and they give me their snuffly noses. 3 Days! 3 Days I’ve had of barely saying a word because my throat is so painful and for a chatterbox like me, this is a big deal. When I get my voice back, there will be no shutting me up. They better get their earplugs ready. Okay, so this is an incredible opportunity for us to do our bit for charity and you don’t have to spend a penny. In a bid to provide water to some of the worlds poorest children, UNICEF have paired up with companies like Giorgio Armani fragrances to bring us a challenge. Water is a necessity, something everybody needs to survive, but one thing we don’t need, and yet most would say they couldn’t live without, is our phone. Click on the link above (using your phone) and all you have to do is leave your phone alone. That’s it. Put your phone down and don’t touch it; for every ten minutes you leave your phone alone for, a day supply of water for a third world child will be provided. The web page will start counting once your phone is still. You can leave your phone whilst it’s charging, or even overnight. Just leave the screen on. You don’t use it whilst you’re sleeping so why let a child die from unsanitary water whilst you rest your head? If you sleep for the average 8 hours, then you will be earning 48 days worth of water for a child. And thats without even lifting a finger (or a phone). Plus, the page gives you facts as it’s counting and it tells you who and where is holding the record for leaving their phone the longest. Admittedly, i’m getting slightly competitive. So do your part. It’s not hard, it doesn’t cost you a thing but you’ll be saving lives. Your phone has a value that reduces the older it gets. A dying child’s life is priceless no matter what their age. Is it really that Black and White? 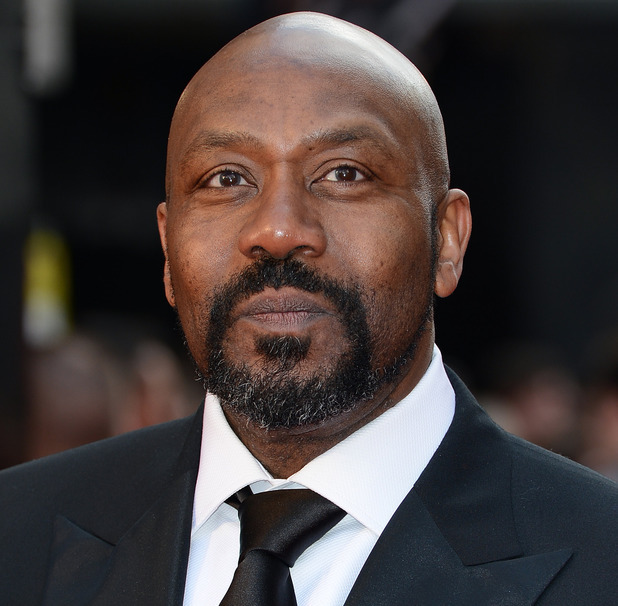 Lenny Henry has hit out against the British television industry, declaring it unjust that the cast of popular T.V shows is predominantly white. Vocalising his frustration that the industry is made up of just 5.4% BAME people, he says things need to change. As probably seen on my previous posts, I am all for equality and any kind of discrimination is completely unacceptable to me. production excluded) I have to disagree. It’s not in a racist manner in any degree, its just that shows such as Broadchurch, based in a little English town, would not be factually accurate if the cast was 50% BAME. Little towns like these are not very diverse, it only becomes so when you come to more urban cities and towns, so it could be argued that viewing quality would be affected. Furthermore, I am a huge fan of the show The Vampire Diaries and often it jumps back to the past, to reflect on days gone by. Historically, in the US and UK especially, slavery was a massive controversy and in the 1900’s black people were oppressed. Yet in many programmes they are often portrayed as working class or wealthy individuals, which was not the case for most; this has most likely been done by production companies to avoid offending their audiences. In regards to TV shows where the casts ethnicity doesn’t affect the storyline in any way, it is right that Lenny Henry should fight for the rights of BAME people. However, sometimes a white ensemble is used because it’s true to the story and as realistic as possible. Shows sometimes need to focus on being believable rather than whether or not it may upset someone. Japan-the cast will be predominantly Japanese. Mexico and Spain-the cast will be predominantly Hispanic. India-the cast will be predominantly Indian. This is not due to racism, it’s just down to the fact that in these countries, Japanese, Hispanic and Indian people are of the majority, as is true of England. We are a diverse society and we welcome anyone who settles in our country, but in essence, there are (factually) more white people in Britain than BAME. 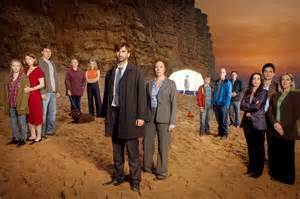 So it makes sense that shows like Broadchurch reflect this fact to keep an essence of realism. People have equal opportunity in Britain and there is no discrimination against the BAME population when comes to casting people for TV. It’s just that sometimes, appropriateness needs to be taken into account and someone may not be right for certain roles. The boundaries are blurred most of the time because political correctness always forgets to wear it’s glasses. Lenny Henry should definitely fight for equal chances but it needs to be realised that it’s not always possible. I’m really confused. There’s chocolate eggs everywhere, toy bunnies on sale and quite a few christians in the street, gathering in lovely bubbles of religiousness. But before any of that is Lent and I decided this time I would give something up and stick with it. I gave up all fizzy drinks and do you want to know something? Since doing so, I’ve actually put on weight. I’m going to over indulge on the fizzy stuff when Lent is over and stuff my face with as much chocolate (vegetarian/fair trade/animal-testing free) as my cheeks will allow. Before I even begin writing this article, I would just like to make the point that I am a little monster but just because I love my queen, doesn’t mean I have to like her antics. Recently, on stage Lady Gaga performed her song Swine by roasting herself on a fake BBQ and with dancers tending to the…erm…meat. To be fair, this would have been a great opportunity to take her meat dress out of her very large, skeleton filled closet. However, though the above could be interpreted as out of the box creativity (Andy Warhol once said “Art is what you can get away with”) what came next is truly stomach turning. Gaga went truly gaga when ‘vomit artist’ Millie Brown put her fingers down her throat and puke all over the singer. If you’re wondering what kind of women throws up green sick, don’t panic! Gaga hasn’t found herself a real monster, no. She consumed green soy milk before the “performance.” Ooh doesn’t it go with Gaga’s eyes? I’ve always been a big fan of the stars’ outlandish outfits and outspoken political views but this is, well, just sick; it begs the question: how far will she go in the name of ‘art’ and if she continues to perform in such ways, it’s only a matter of time before her fans get the wrong ideas. Demi Lovato has been extremely outspoken in regards to this revolting act, expressing that she feels it ‘glamourises eating disorders’ and I have to say I agree. Both musicians suffered from eating disorders, yet where Demi has chosen to use her experience as a life lesson. Gaga seems to have gone the opposite way. Demi added that if this is how Lady Gaga chooses to set an example for her fans then surely she is hypocritical regarding her own practises. Gaga is famed for her speeches on equality and acceptance of other, yet she gilds disorders like Bulimia that have torn peoples lives apart, as often people turn to extremes like these to conform to society and they have the often misguided ideology that it makes them more socially acceptable. Demi also wrote: “If I do a speech about self-harm [can I] then proceed to watch someone cut themselves on my stage? No.” So why does Gaga feel justified in doing this herself? As talented and beautiful as Stephanie Germanotta is, sometimes I think Lady Gaga is not a role model to be looked up to. Her songs are bewitching, her outfits are confident but the girl underneath that she used to be needs to find her way back. I adore her (for now continue to be a little monster) and yet I can’t help but feel she’s selling herself short of how truly incredible she can be.